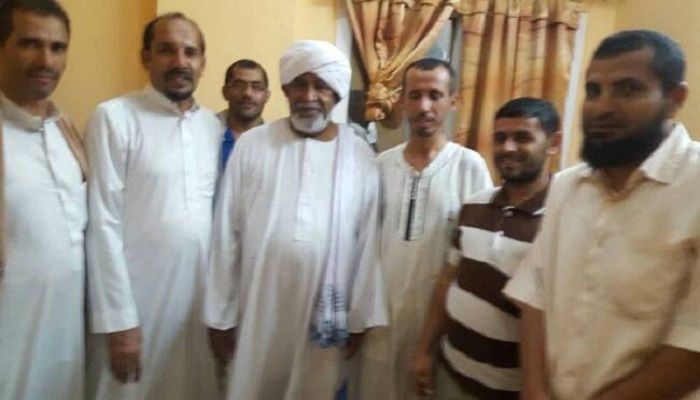 In a kind gesture, Prof. Ahmed Saeed Salman, the Vice Chancellor of the University of the Quran and Islamic Sciences, Sudan, has visited Abd Al-Aalim Al-Qudsi, a Yemeni student in Al-Ma'ali Student Housing in Bahri- Khartoum State who was injured in a traffic accident a few days ago. On his special visit to the Yemeni student, the university's Vice Chancellor expressed his thanks and praises to Allah for his surviving the accident, asking Allah the Almighty to grant him a speedy recovery and good health. His Excellency Prof. Salman was received by Dr. Ahmad Hazzam, director of Public Relations of the General Union for Yemeni Students in Sudan, Dr. Mohamed Al-Farasi, director of Al-Ma'ali Housing and Dr. Mohamed Al-Kahlani. On the other hand, the Yemeni students expressed their happiness for the visit of the Vice Chancellor of the University of Quran and Islamic Sciences, appreciating his sincere feelings which reflect the truth of the relation between the Yemeni and Sudanese peoples, asking Allah the Al-Mighty to make this in the balance of his good deeds.